The former Arsenal, Barcelona and France player only replaced Leonardo Jardim as manager in October. The club’s decision to dispose of Henry would have come as a shock if his comments at his scheduled weekly news conference earlier in the day were any indiaction. “When I arrived, the club was in a mess, I tried to do a lot of things which you did not see,” he said Thursday. Email “Monaco suspend coach Thierry Henry amid question marks over his future”. 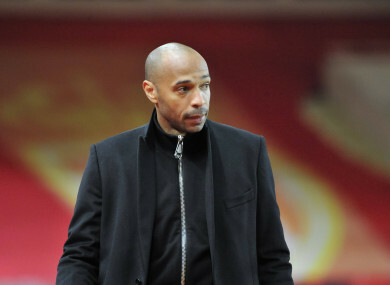 Feedback on “Monaco suspend coach Thierry Henry amid question marks over his future”.